TUESDAY, May 24, 2016 (HealthDay News) -- Weight-loss surgery quickly improves blood sugar control in people with type 2 diabetes, and should be recommended or considered as a treatment for certain obese people with diabetes. That's the message of a joint statement endorsed by 45 international professional organizations. It appears in the June issue of the journal Diabetes Care. "Given the rapid developments in the field, it is important to focus on this topic for those who care for individuals with diabetes. These new guidelines, based on the results of multiple clinical studies, validate that [weight-loss] surgery is indicated in certain people with diabetes and can yield significantly improved outcomes," editor-in-chief of Diabetes Care Dr. William Cefalu said in a journal news release. These are the first guidelines recommending surgery as a treatment option specifically for diabetes, he added. The statement is endorsed by the American Diabetes Association. The guidelines emerged from an international conference -- the Second Diabetes Surgery Summit -- held last fall in London. Evidence from 11 clinical trials and other sources shows that in most patients, surgery can either reduce blood sugar levels below diabetic thresholds ("diabetes remission") or maintain adequate blood sugar control despite major reduction in medication usage, according to the authors. While relapse of high blood sugar may occur in up to 50 percent of patients who have a remission after weight-loss surgery, most maintain substantial long-term improvement in blood sugar levels, the evidence showed. "Despite continuing advances in diabetes [drug treatment], fewer than half of adults with type 2 diabetes ... attain therapeutic goals designed to reduce long-term risks of complications, especially for [blood sugar] control, and lifestyle interventions are disappointing in the long term," Cefalu and colleagues wrote in the commentary. Weight-loss surgery has been shown to improve blood sugar control more effectively than any known drug treatment or lifestyle changes, the report authors said. Weight-loss surgery -- also known as metabolic surgery -- involves reducing the size of the stomach or rerouting the small intestine. 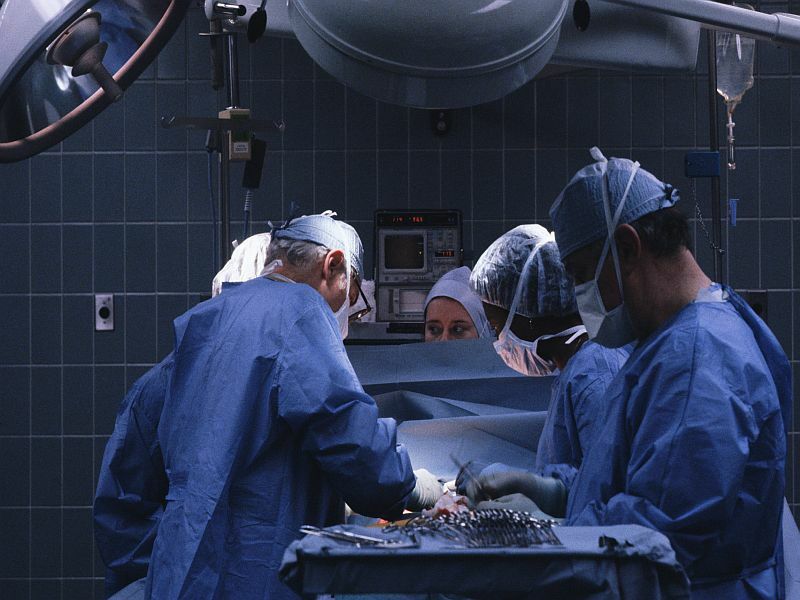 It's as safe as commonly performed operations such as gallbladder surgery, but there are still risks of complications. There's also the risk of long-term nutritional deficiencies, the statement authors said. Despite these good results, current clinical guidelines haven't included weight-loss surgery as a recommended treatment for diabetes, the commentary noted. The new guidelines recommend weight-loss surgery to treat type 2 diabetes in people with Class III obesity. Class III obesity is defined as a body mass index (BMI) of 40 or more. BMI is a rough estimate of body fat based on height and weight calculations. For example, someone who's 5 feet 8 inches tall weighing about 265 pounds has a BMI of 40, according to the U.S. Centers for Disease Control and Prevention. The guidelines also recommend weight-loss surgery for those with Class II obesity with high blood sugar that isn't adequately controlled by drugs or lifestyle changes. Class II obesity is defined as a BMI of 35 to 39.9. As an example, a 5-foot-8 person who weighs 240 pounds has a BMI of 36.5, the CDC says. Weight-loss surgery should also be considered to treat type 2 diabetes in people with a BMI of 30 to 34.9 with inadequately controlled high blood sugar, according to the guidelines. Someone who's 5-foot-8 and weighs 200 pounds has a BMI of just over 30, according to the CDC. Study first author Dr. Francesco Rubino said, "Surgery represents a radical departure from conventional approaches to diabetes. The new guidelines effectively introduce, both conceptually and practically, one of the biggest changes for diabetes care in modern times." Rubino is a professor of metabolic and bariatric surgery at King's College London, in England. "This change is supported by documented clinical efficacy and by the evidence of an important role of the gut in metabolic regulation, which makes it an appropriate target for anti-diabetes interventions," he added.